Systems Mastery will take you from where you are now - stuck working in the day to day operation of your business, unable to scale, lacking any time freedom to focus on what's most important to you - to where you want to be - with time to spare and freedom to choose what you do with it. Do you want to learn how to build your systems for scale, consistency and personal freedom, but want to do it in your own time and at your own pace? Then this online programme is the one for you. Building your business systems… at your pace. No matter what your schedule, you can now get the support and expertise you need to build a business that supports your life, rather than one that runs it! 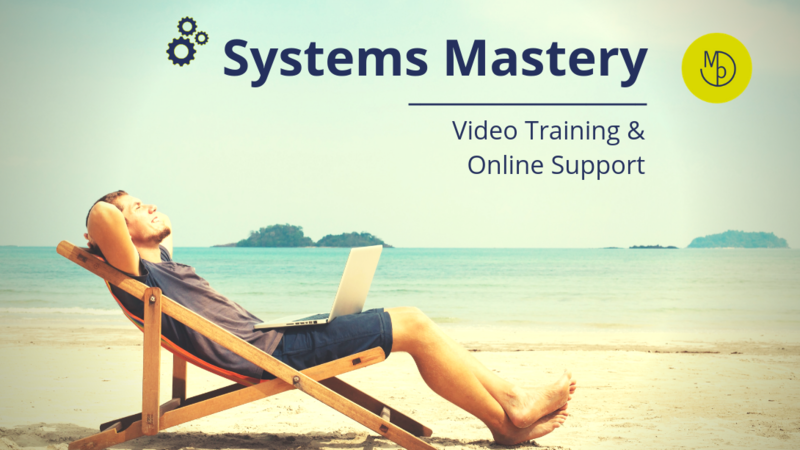 We can't wait to get started, so without further ado - here's to your Systems Success!